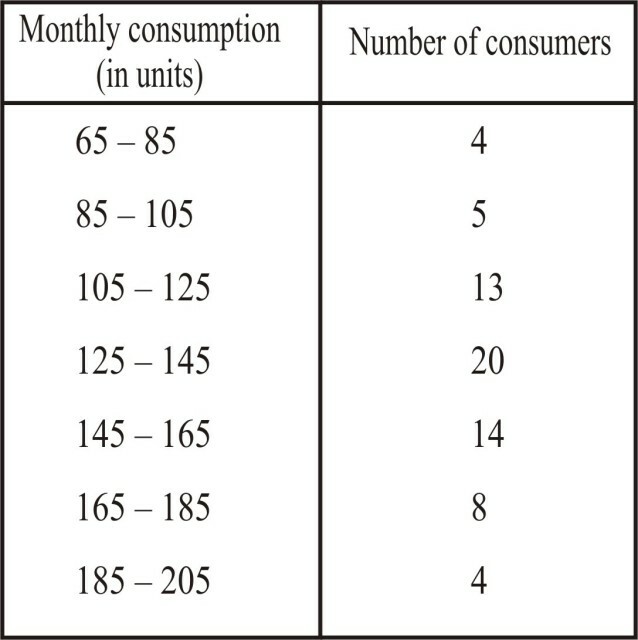 Q.1 The following frequency distribution gives the monthly consumption of electricity of 68 consumers of a locality. Find the median, mean and mode of the data and compare them. 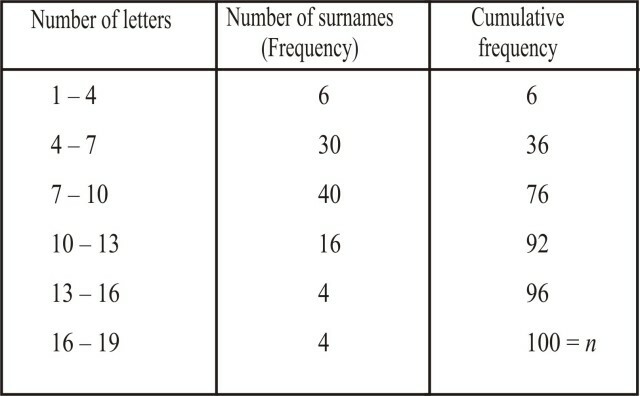 The cumulative frequency just greater than , is 42 and the corresponding class is 125 – 145. 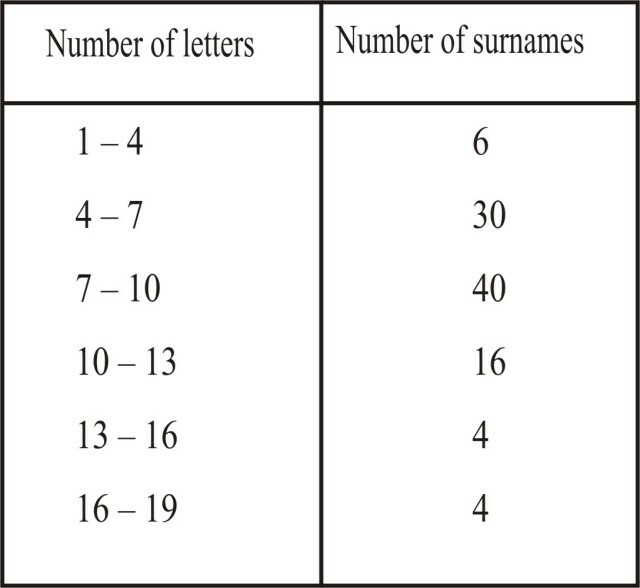 Thus, 125 – 145is the median class such that = 34, = 125, c.f. = 22, f = 20, h = 20 . 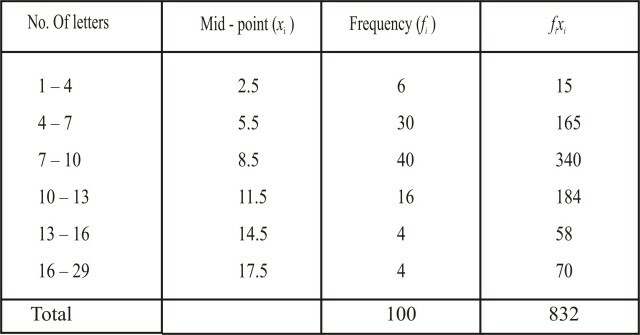 The class 125 – 145 has the maximum frequency,therefore, this is the modal class. Clearly, the three measures are approximately the same in this case. 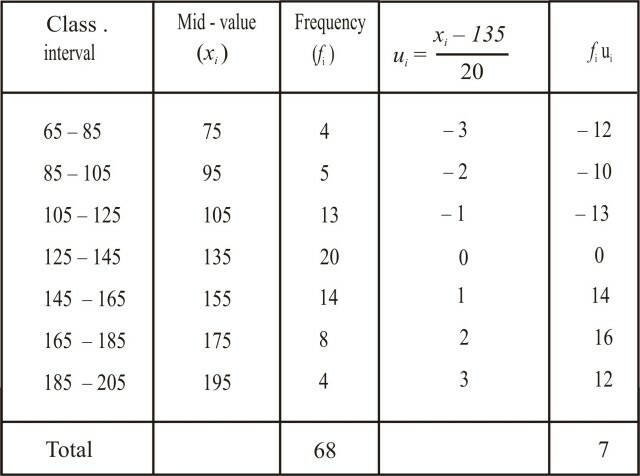 Q.2 If the median of the distribution given below is 28.5, find the values of x and y. 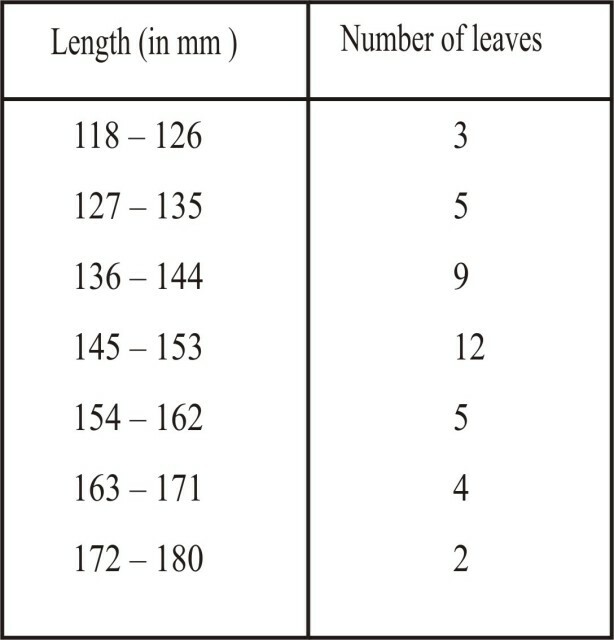 Since the median is given to be 28.5, thus the median class is 20 – 30. 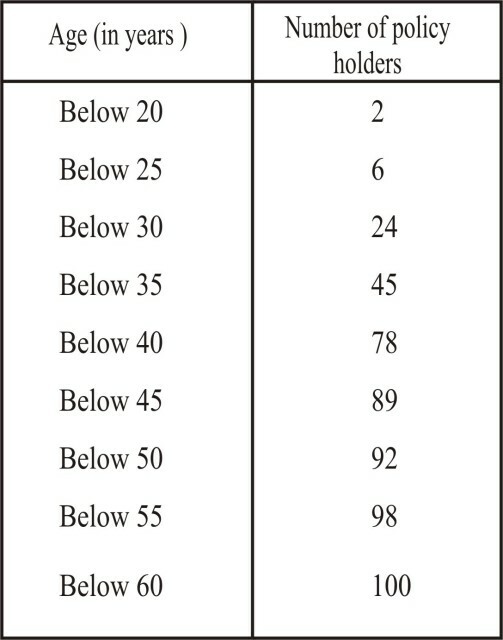 Q.3 A life insurance agent found the following data for distribution of ages of 100 policy holders. Calculate the median age, if policies are given only to persons having age 18 years onwards but less than 60 year. Sol. 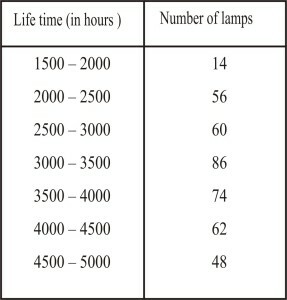 We are given the cumulative frequency distribution. 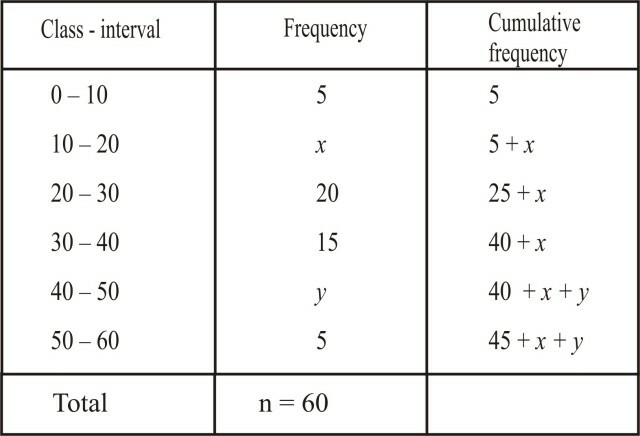 So, we first construct a frequency table from the given cumulative frequency distribution and then we will make necessary computations to compute median . 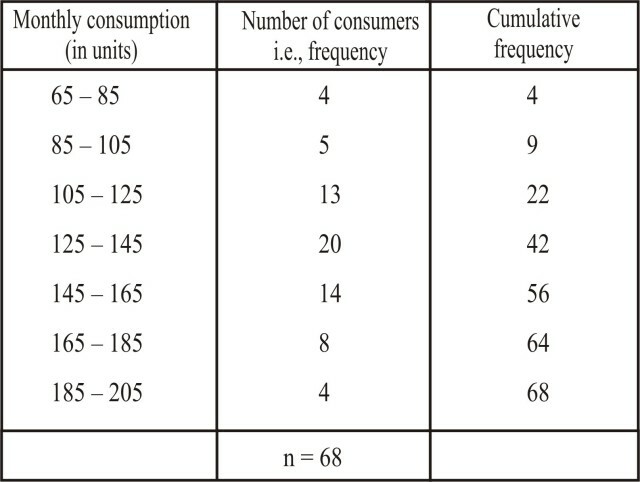 We see that the cumulative frequency just greater than , i.e., 50 is 78 and the corresponding class is 35 – 40. So, 35 – 40 is the median class. Hence, the median age = 35.76 years . 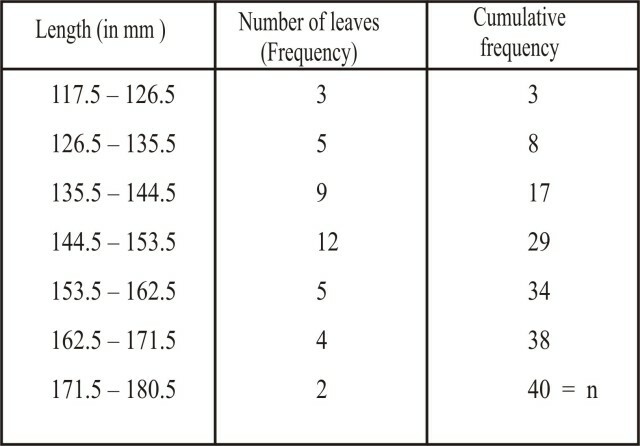 The cumulative frequency just greater than is 29 and the corresponding class is 144.5 – 153.5. 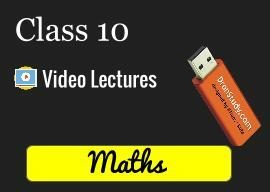 So, 144.5 – 153.5 is the median class. 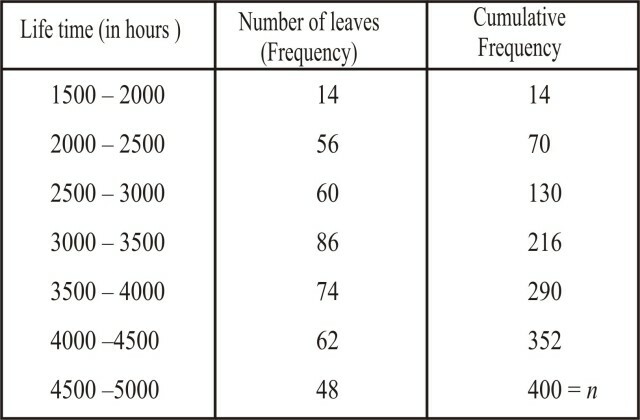 The cumulative frequency just greater than is 216 and the corresponding class is 3000 – 3500. 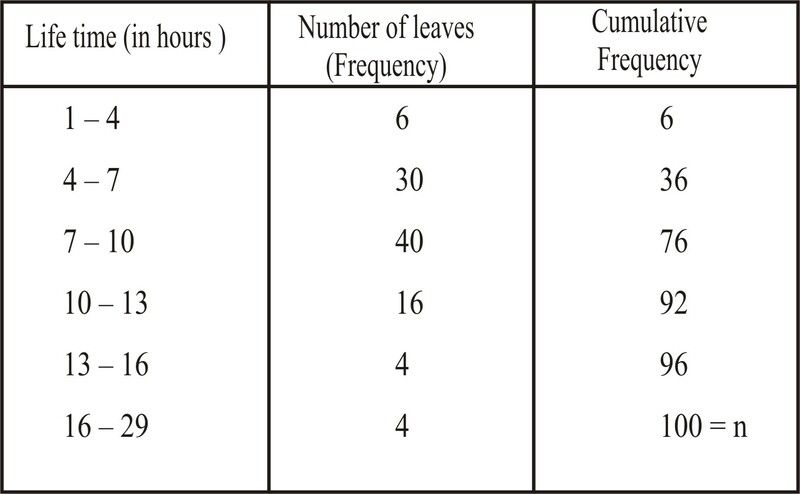 Thus, 3000 – 3500 is the median class such that = 3000, cf = 130, f = 86 and h = 500. 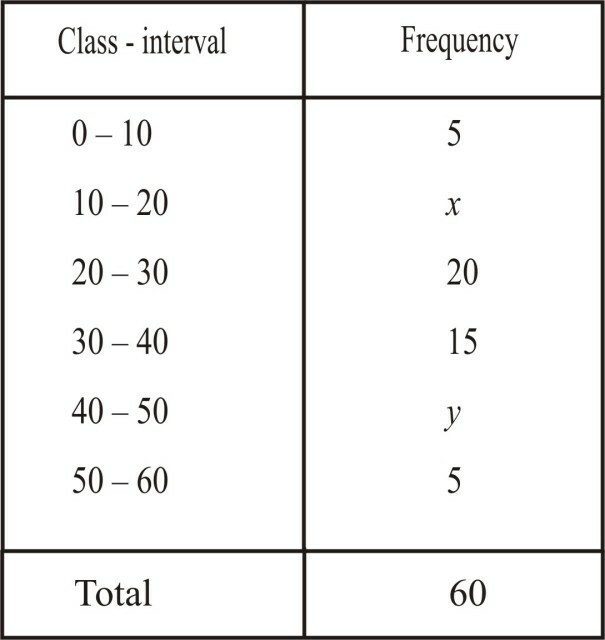 The class 7 – 10 has the maximum frequency therefore, this is the modal class. 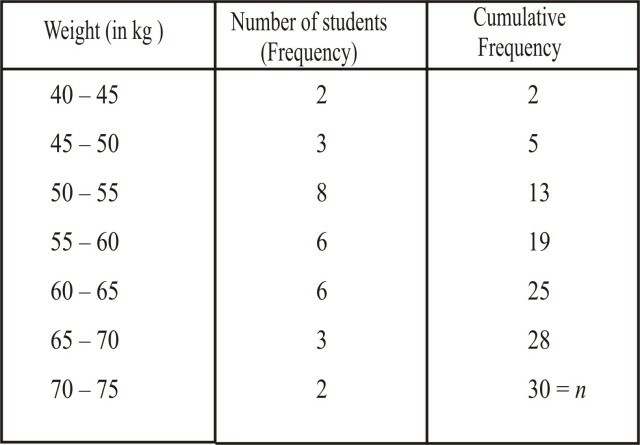 Q.7 The distribution below gives the weights of 30 students of a class. 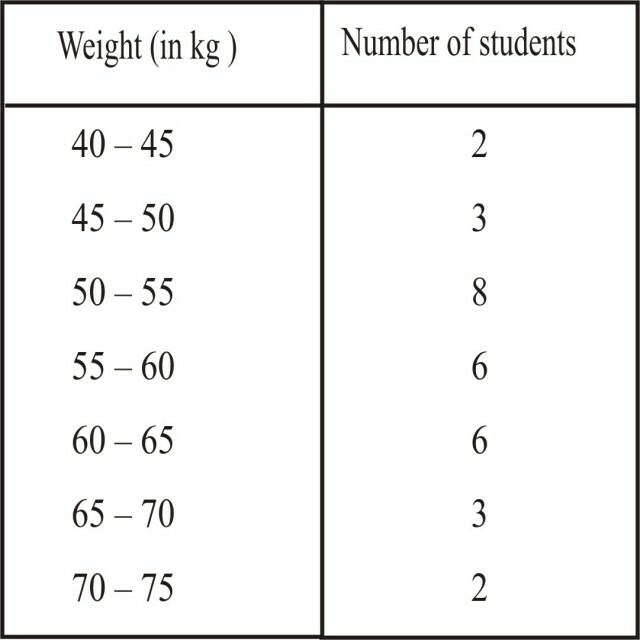 Find the median weight of the students. 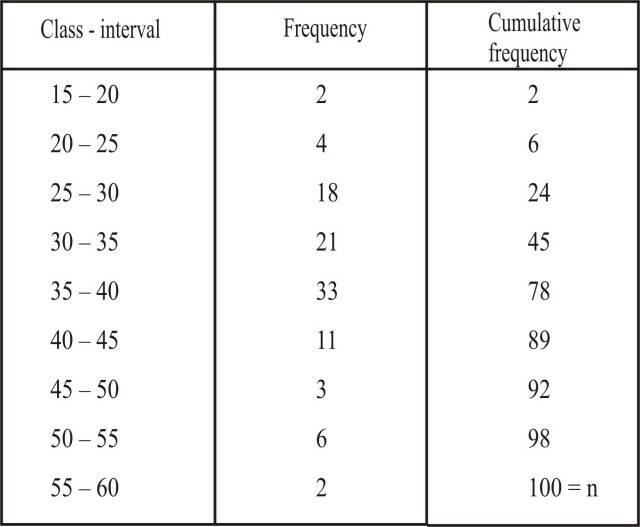 The cumulative frequency just greater than is 19 and the corresponding class is 55 – 60. Hence the median weight = 56.67 kg .